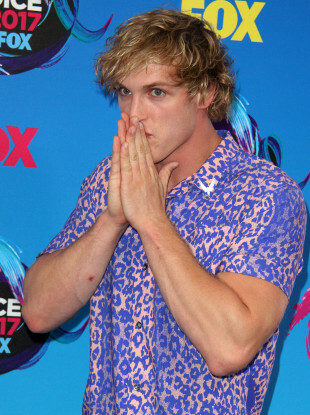 Logan Paul has issued an apology following backlash to the video. JAPANESE SOCIAL MEDIA reacted with a storm of outrage to a video by YouTube star Logan Paul showing a suicide victim in a forest near Mount Fuji, as anger spread over the now-deleted video. Angry comments flooded Twitter after Paul, who gained notoriety on social media and has a popular video blog or “vlog”, apologised for the footage, which was reportedly viewed six million times. As news of the video and apology was reported in Japan across today, social media erupted with indignation over the film, which showed a man who had hanged himself. “It is insane to show to the world the body of someone who died after being depressed. Shame on you,” said one Twitter user. “It looks like he did it for self-satisfaction. Suicide and depression are serious issues. There’s nothing funny about them,” said another user. Others said Paul’s actions were irresponsible, with teenagers and tweens making up his subscriber base of 15 million. Japan has the highest suicide rate of any G7 industrialised nation, with more than 20,000 people taking their own lives each year. Aokigahara, located 100 km west of Tokyo, has become so notorious as a spot for desperate people to kill themselves that authorities have put up signs among the trees urging people with self-destructive thoughts to contact a suicide prevention group. “Life is a precious thing… Think again about your parents, siblings and children,” the signs say. Many blame the high suicide rate on the value Japanese place on conformity. Suicide also does not have the religious stigma in Japan as it has in other countries. Email “Japan reacts with anger after Youtube star posts video of victim in 'suicide forest' ”. Feedback on “Japan reacts with anger after Youtube star posts video of victim in 'suicide forest' ”.